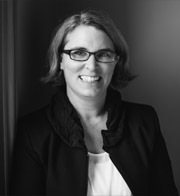 Fiona started working at Abetz Curtis in April 2013 and was admitted to the Supreme Court of Tasmania in June 2013. Prior to entering the law, Fiona went to the Conservatorium of Music to study the cello. She then began work at Habitat. After working in several retail jobs, she returned to Habitat part-time while resuming studying for her Bachelor of Arts and Laws. She also has experience in commercial and property law, advising clients on a wide range of matters including commercial and residential conveyancing, sales and purchases of businesses, commercial and residential leases, contract negotiation and other commercial transactions. Fiona also practises in estate planning providing advice in relation to wills, powers of attorney and instruments appointing enduring guardians.Fiona has been involved with various sectors of small business her whole adult life, primarily in retail, building and aquaculture.Fiona is on the Scientific and Research Committee and Gala Ball Fundraising Committee for Cancer Council Tasmania.She is the mother of Poppy who is now six.